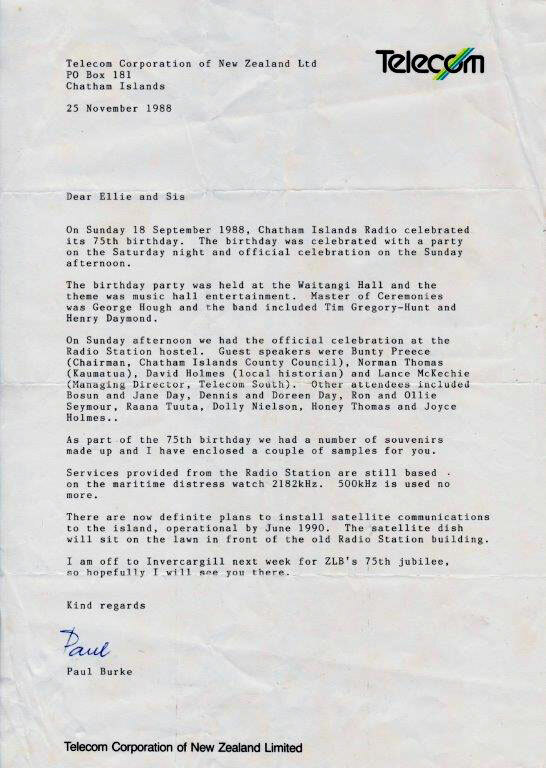 On 18 September 1988 a celebration was held to mark the 75th anniversary of the opening of Chatham Islands Radio. 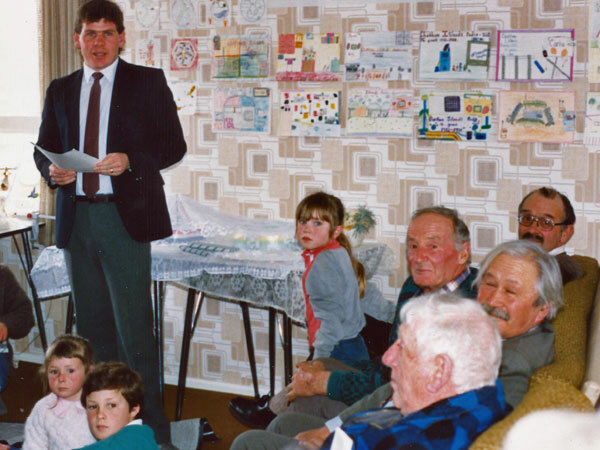 Chatham Islands Radio manager Paul Burke speaking at the 75th anniversary of the station in 1988. The four local men (starting from the back) are: Tim Gregory-Hunt (wearing glasses), Bosun Day, Bunty Preece and David Holmes.